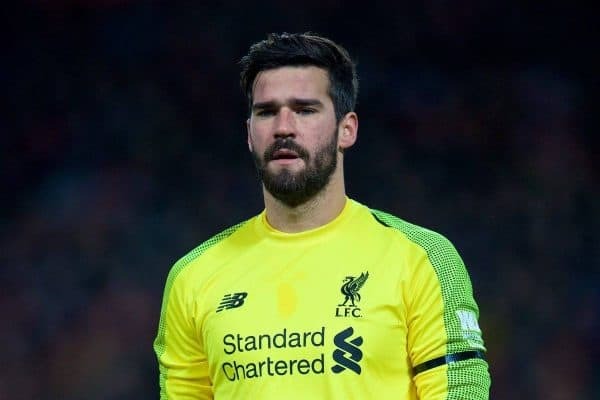 Alisson Becker has been integral to Liverpool’s thus-far impressive season and says the squad is plenty good enough to continue the title challenge. A pair of 1-1 draws of late have seen the Reds displaced atop the Premier League table by Man City, who beat Everton on Wednesday to move clear on goal difference. That is, of course, having played a game more—so the Reds’ fate is still entirely in their own hands. Pundits and media outlets have suggested that Liverpool’s players are stuttering under the pressure, despite the fact no league team has beaten them other than City themselves. Alisson isn’t having any of it, though, and told Sky Sports there is no case to answer in terms of nerves affecting game-play. “I wouldn’t say anything on the matter. We believe we can win the league. “Our pressure is the same. We take things game by game without worrying about what our opponents are doing. “Everyone wants to win this league but at Liverpool our concern is winning games and not dropping points. The Reds return to action against Bournemouth at Anfield this weekend and the squad are determined to end their mini-run of back-to-back draws, says the Brazilian. His words are no different to several others stars of Jurgen Klopp‘s squad, who have always repeated the mantra of “one game at a time,” but the genuine belief that silverware could be around the corner is evident all the same. 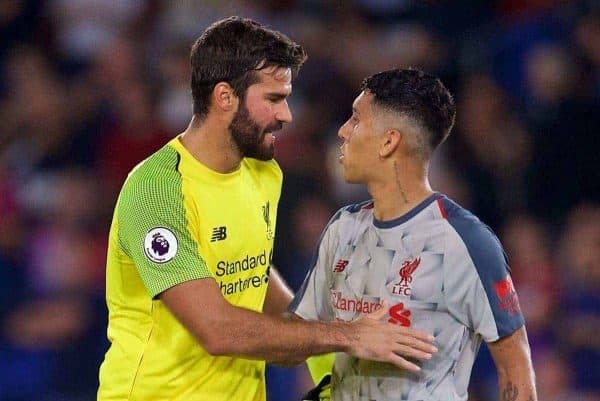 Alisson—who gave a brilliant attempt at showing off the Scouse he has learned—is clearly buying fully not just into the team on the pitch, but the all-round experience of being at a new club who appreciates his abilities. “I really want to win the Premier League with Liverpool,” the stopper added. “We need to win games and we need to focus on our next opponent. Alisson has been in largely imperious form this season and is a big part of the reason for the upturn in fortunes in defence. 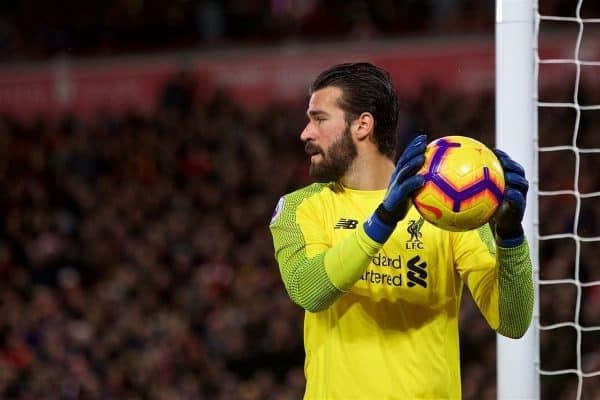 After a slight drop-off recently, he—and the rest of the back line—will hope for a return to clean sheets and consistency at Anfield this weekend.